Press on the image above to buy an Apple TV for your Dad! I think my Dad would have been in heaven to brew his own beer! Let Dad turn his 'Dad Cave' into his own personal Cheers Bar with the Krups Beertender! LG Microwave + Pizza Oven - The 1400W Baking Drawer Plus 'Auto Pizza' Feature for precisely prepared Fresh or Frozen Pizza makes this Microwave a standout! But Wait There's MORE! - TWO TWITTER PARTIES! Best Buy is hosting not just one but TWO upcoming Twitter Parties, The first is on June 5th at 7:00pm CST so don't forget to RSVP! Prizes include: Four (4) $25 Best Buy eGift Cards, Two (2) Dyson DC 65 Vacuum Cleaners (which I reviewed HERE), and TWO (2) GRAND PRIZE WINNERS will win an Insignia Flex Tablet! As I'm a tech and gadget lover I'd probably get anything on the list above for myself too! I mentioned that there would be TWO upcoming twitter parties, and I am co-hosting the Twitter Party on June 11th where we will be discussing great gifts for Grads, so stay tuned for the RSVP page to that party! 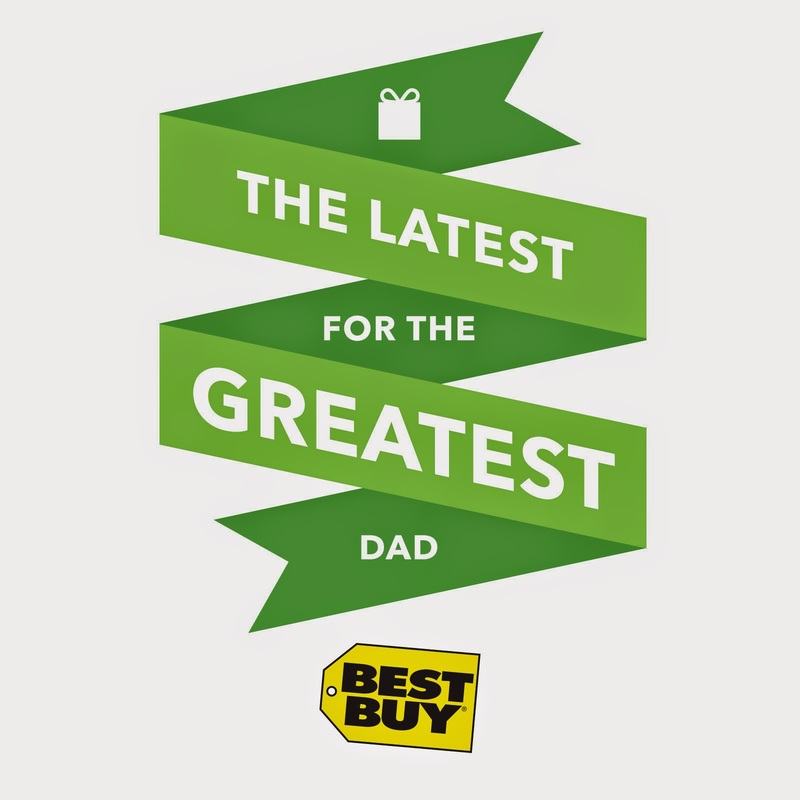 What Best Buy Gift are you getting your Dad for Father's Day? Great balls of fire I don't know who loves these gifts more my dad or ME !!!!! @Big Happy Buddha - Tech gifts always rock my socks! I'm with ya! Hope you have a fantastic Father's Day!